The Artisan Depot featured the art of Winchester artist Georgie Speers September through October 6th, 2012. Georgie retired from teaching and since then has had time to explore her interest in art. Georgie says, “I have found watercolor to be full of delightful surprises and unexpected challenges.” Her show is called “Winds and Wings,” and features subjects exhibiting movement in the air. 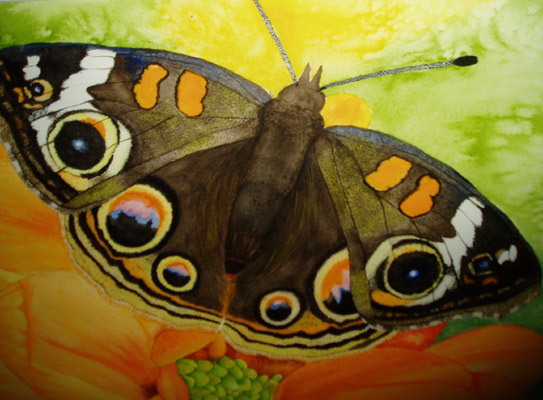 Her interest in this theme started 18 months ago after working on paintings of butterflies, birds and a dandelion.